I believe this is my first book written by a cat – or from the point of view of a cat. A whole novel that is! 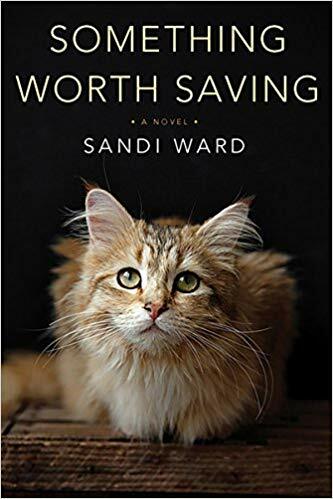 I was quite intrigued by the premise of Something Worth Saving by Sandi Ward. 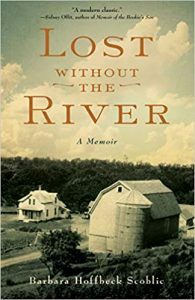 I thank TLC Book Tours for sending me a copy at no charge for my honest review. On December 18, 2018 her latest novel, SOMETHING WORTH SAVING, will be on sale in trade paperback, e-book and audio book. I’ve read stories “written” by cats before but they were all about cats. Unlike those tales, in Something Worth Saving Lily the cat narrates the entire tale which is all about the humans in her life. Lily belongs to Charlie – he rescued her from the shelter even though she has a hurt leg and walks funny. So many others had passed her by but not Charlie. But Lily is worried about Charlie, she has seen bruises on his body and doesn’t know who is hurting him. She is also worried about the other members of the family; something is wrong the dad and the mom is upset. Charlie’s brother and sister are also not acting right. I will admit that having the book written in Lily’s voice took a little getting used to. As most of us know cats are independent creatures and a bit dispassionate. That does allow the story to take center stage. Since Lily is just an observer and only occasionally a participant it lets the narrative play out without lots of extra fluff. While this is a story narrated by a cat, it is a story full of very adult themes. The overarching plot involves a marriage that is disintegrating due to alcohol/drug addiction. As noted above young Charlie is being abused. Then there are the impacts of the tensions between the parents on the kids. Lily wanders though everyone’s orbit worrying about how she can help Charlie while worrying about the other humans in her life. Then a new male human starts coming around. One that the mom really likes. But not everyone likes this new man even though Lily likes him very much. How is she going to figure it all out and help Charlie? Lily was a good narrator of the story. She never gets distracted, she just passes on the information and tries to find a way to help. She does love her Charlie and only wants what is best for him. At times though the book reads a little dryly due to it being in Lily’s voice. She is rather like an outside investigator even though she is part of the family. The bits and pieces of why the marriage is breaking up are doled out in snippets throughout the book and I was left wanting a little more information. The ending was satisfactory. Lily was left happy so that a very good thing. As to the humans – you will have to read the book to find out.